During 14 days following the delivery of your order, you may request the exchange or refund of items, which you must return to us in perfect condition accompanied by the original invoice. Returns will only be accepted if labels and original packaging are fully intact. Marshallheadphones.com cannot accept returns where the labels have been removed. Please note that you are responsible for the shipping of returned items back to marshallheadphones.com. Items lost in transportation will not be compensated for. It is possible to return on-ear headphones within 14 days of receiving them (measured by the delivered date in the tracking information). The headphones must be in like-new, perfect condition and all parts/cables and product manuals must be included in the original packaging. This also applies to Speakers purchased from marshallheapdhones.com. It is unfortunately not possible to return in-ear headphones once the packaging has been opened due to personal hygiene reasons. For bundle purchases (for example 2 for 1 offers) as part of a campaign on marshallheadphones.com, there are additional terms for exchanges or refunds. It is necessary for you to return all items as part of the bundle deal in order to receive a refund or exchange. If only a portion of the bundle is returned for a refund, you will be charged the full purchase price of the item(s) that you keep and receive only the remaining balance as a refund. Shipping charges on returned merchandise are at the customer’s expense. However, marshallheadphones.com will not charge the additional shipping on exchanges. Refunds for returned merchandise will be made within two weeks of the return of the product, to the original purchaser’s card of payment. Note that the additional duties and/or taxes will not be refunded, neither will shopping costs. For countries within the EU, VAT will be included in the refund. All exchanges are subject to availability. 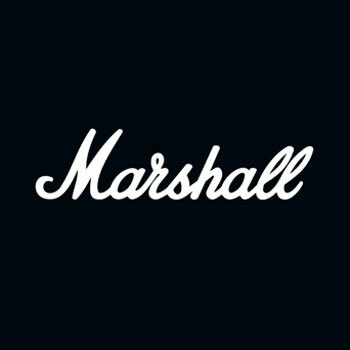 To read more about our Terms of Purchase and other policies, please visit marshallheadphones.com and select the Policies category from the footer.